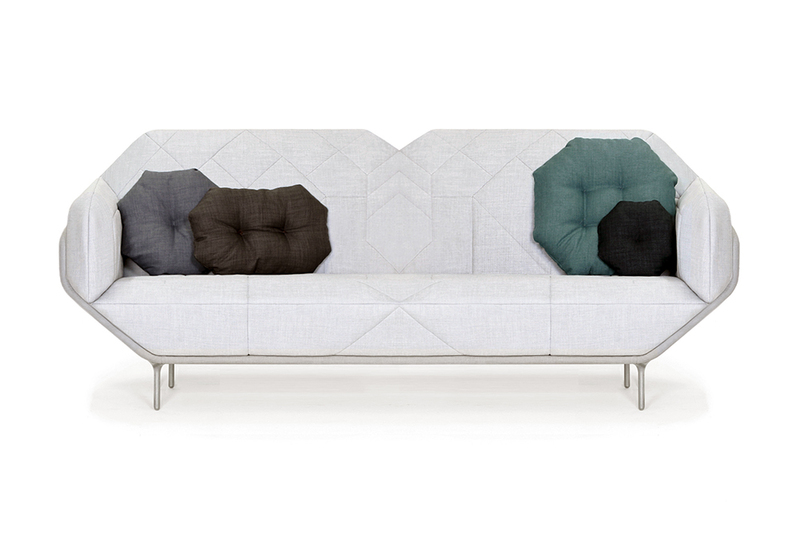 Harmonious proportions; classicism merged with contemporaneity; and a prevailing feeling of simplicity and functionality.These were the basic ingredients that composed the inspiration for OKTÁ, a different sofa in which the familiar rectangle-90° shapes are denied, to leave space for an innovative outline based on the octagon. This harmonious relation between proportions constitutes the axiom of the whole design, and it is precisely the armrest and the detail of its 45º-meeting with the seat what generates the rest of the composition. If the armrest is modified, so will the seat and rest of the parts, following a global harmony of dimensions and proportions. 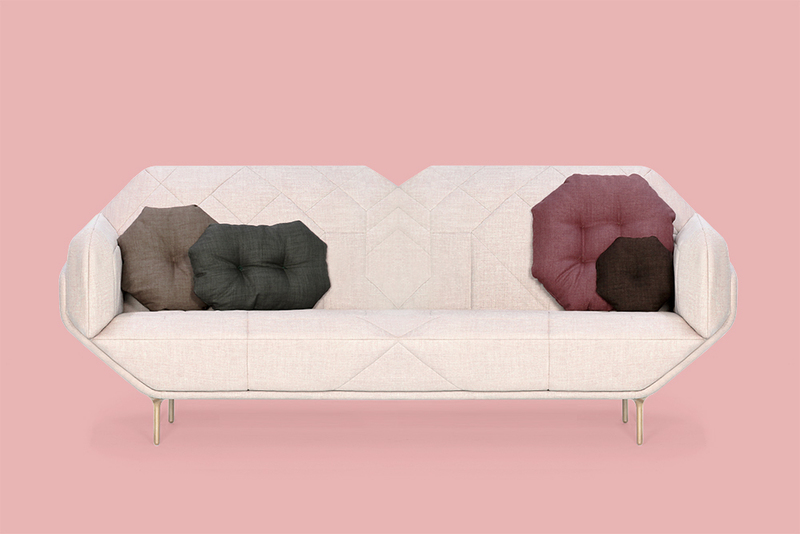 The upholstery shares the sofa´s philosophy: a playful yet simple geometrical pattern of seams that follow the overall rules and proportions of the piece.